My lifestyle took a huge turn once I joined Country Girls. Up until then, going to school was my routine. But with the addition of work, I got to go all around the country for events, I got to eat all sorts of things for the first time, I got to feast my eyes on many sights, it's all added to myself. And hiking up Mount Fuji undoubtedly left a huge impression on me. As hard as it was to deal with such a huge goal, it left me with a great sense of achievement. Last year, I got to play the sax in 'Namida no Request' and appear on Pokemon shows. This year, I'd like to leverage even more of my interests and skills in my work. I'd like to go to the gym and build up my muscles so that it'll have a good influence on my performances. 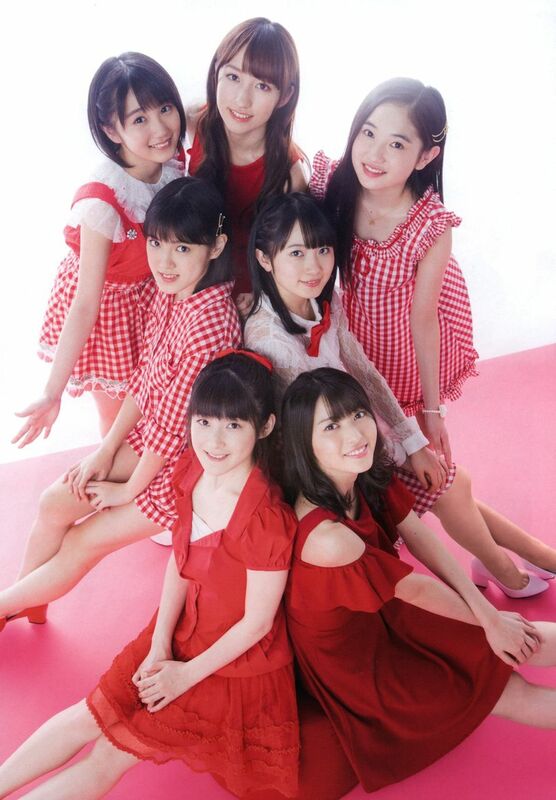 When I'd first joined, I was immediately paired with Momochi-senpai for the filming of the MV for 'Boogie Woogie Love'. It made me happy when she asked me 'Are you having fun, being in Country?' As she was giving me her attention, I felt comfortable talking to Momochi-senpai. I get so nervous with Yajima-san that I haven't really talked with her. She's awe-inspiring, she's a beauty, she exudes this brilliant aura. I'd like to become like her. There's still the 'HinaFes' in March, so I hope to talk with her a little there. I'll work hard at my studies even after Momochi-senpai has graduated! Last year, I got closer to the members, and have been going out increasingly more with them during our private time. I met up with Ozeki-san at eight in the morning to go and watch a horror movie. That was fun, the two of us watched it through the gaps in our fingers. (laughs) I think I've improved at talking on-stage. At first, even coming up with a topic was already hard enough, but I've gotten more and more used to it. Now I'm able to talk in detail about trivial things. I enjoy doing the talk segments while letting my inner self show. And I'll be taking exams this year, so even after Momochi-senpai graduates, I'll like to keep firm and properly study. When I was doing my first recording after having joined, I was a nervous wreck. But Momochi-senpai wished me luck. At the time, I couldn't believe that she had talked to me, I was so happy. What I remember about Yajima-san is when ℃-ute-san did a Christmas event. In that event, they discussed a survey filled by the Kenshuusei. After mulling over how to answer the question, 'What is scary about ℃-ute? ', I wrote and sent in 'Yajima-san's smile is so beautiful that it's scary'. And it wasn't taken in a positive light. I got found out since I put my name down as FM-san. (laughs) I'd like to tell her that it was a misunderstanding. I meant it in the best of ways! I'd like to polish up my cuteness and my figure! 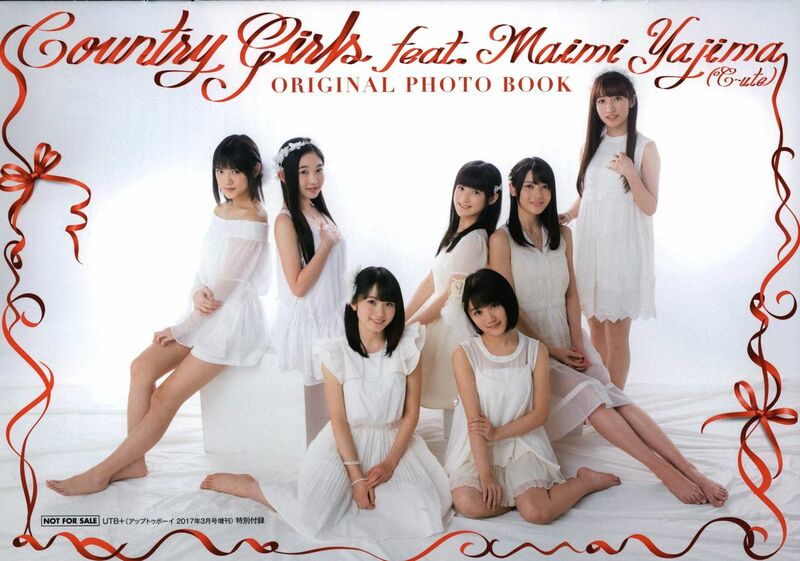 Last year was the year when we started on a new Country Girls. I couldn't get used to being in a situation with kouhai at first, so I put some distance between us. But our bonds deepened from the spring-summer tour, we had more opportunities to talk. I want to take another shot at surmounting Mount Fuji, when I'm in tip-top condition. Momochi-senpai will graduate this year, in June. I haven't thought yet about how things will be after that, and we might be getting new members, but I can't help but be excited! I don't have anything that I'm great at, but I'd like to work hard at talking. Ah, I always boast about my cuteness, and I'd like to polish that up. As for my figure, well, Country Girls has a lot of girls that are like mascot characters, but I don't fit into that framework, so I'd like to keep it that way. The memory I have with Momochi-senpai is from summer two years ago, when I had fallen sick for a couple of days. She kindly came to talk with me. Her words were a lifesaver, borne of a lifetime of experiences, and has made me who I am now. She''s really like a mother. Yajima-san is like a goddess to me! A goddess!! I'm truly overjoyed to have been part of H!P when Yajima-san was leader. I have a good memory of taking a two-shot with her in the summer, after they announced their graduation. Performing in the stage-play 'Kizetsu Suru Hodo Aishiteru' a year ago left a deep impression on me. It was my first time acting, so it made me aware of how bad I was at acting. Yet there was a huge sense of accomplishment after it ended successfully, and I think I was fortunate to start off with an amazing play. I was also motivated by watching the YanaFuna pair do their best at the spring-summer tour. Since then, learning from Momochi-senpai's example, I've become more conscious about calming down and observing my surroundings. I was able to further enjoy singing and dancing at the winter tour, ad my throat wasn't doing that well at some point, so I was reminded about how important it is to maintain my body. But I haven't taken any breaks yet! I'm currently at level pre-2 of the Kanji Aptitude Test, so I'll work hard to pass level 2 this year! And I'd like to treasure each and every day until Momochi-senpai's graduation, and make even more memories. Which reminds me, amongst the members, I was probably the first member to have a 2-person meal with Momochi-senpai. We were going around doing promotional activities, and I was the first to stay overnight with just Momochi-senpai. It's a joyful memory. (laughs) Yajima-san is a February baby just like me, so I gave her a present and she gave me one in return! I'm really happy to get to reciprocate with a daisenpai, and I'll always treasure the accessory case I received. Just as Momochi-senpai has said, last year was a year where we built up our ability to talk. The YanaFuna pair aren't treated as new members any more, and we aren't restricted as 1ki and 2ki, so because of that, there are things we're able to talk about. I can't imagine how things will be like after June once Momochi-senpai has graduated, but thanks to the experiences we had last year, I have this strange sense of security. (laughs) I'll become the oldest, but career-wise, we're all the same. So I'd like to build the group up with everyone. I've learnt for 19 years that I tend to fail if I overdo things. (laughs) And it seems like Yanamin is full of determination to become the leader. (laughs) My goal with Momochi-senpai is to ask her out for a meal. Last time I invited her, I thought that it would be disrespectful to ask her out without a reason. We had gone for mushroom nabe and I told her that I invited her because the other members didn't particularly like mushrooms. She retorted back by asking, 'So I'm a leftover?' So I'd like to extend a proper invitation to her. I really like Yajima-san's face! I like Michishige Sayumi-san as well, so having analysed it from all sorts of angles, I realise that I like faces that are moulded like works of fine art. And while the face expresses one's feelings, I think that if anyone thinks of Yajima-san, they'll imagine her smiling. Through that aspect as well, she's amazing as an idol. Tsugunaga: This photoshoot got started in the first place because of a Country Girls serialisation where we had the goal of surmounting Mount Fuji. And last year, we had an event to announce our success. Maimi was also at the event as 'Miss UTB'. (laughs) We played a game where the winners would get a supplemental mini photobook made. Well, we're idols, and everything went smoothly, so all of us are involved in this photoshoot... And that's how things went. Tsugunaga: So, how was today's photoshoot? Yajima: You showed some great teamwork. Tsugunaga: But it really has been ages since we last had a photoshoot together, just the two of us. Has it been more than 2 years? Tsugunaga: However, I think that lots of people have been waiting for this. We're really cutting this close, making it just in time. There's only about 4 months until we graduate... At the Countdown Live at the end of last year, you passed the torch of Hello! Project Leader to ANGERME's Wada Ayaka-chan. Tsugunaga: Even though it would have been fine for me to be the leader for the half-month until the last part of June. (laughs) Firstly, how'd you get to be leader in the first place? Tsugunaga: You're horrible! Even when you were announcing the new leader at the Countdown Live, you said that it was new members instead. That's something that you definitely shouldn't get wrong, right!? How many times did you slip up? Of course I'd get mad. Yajima: This has somehow turned into a lecture. (laughs) But in the past, among the BeriKyuu members, you were really popular. Yajima: Everyone was so shy when we first met, yet with your personality, you took leadership. You would invite us to play tag, and we'd all gather around you. Tsugunaga: What are you talking about? (laughs) But it's pretty rare to have friends who remember things from when we were so small. I don't have any childhood friends from the neighbourhood, so the BeriKyuu members are the companions who've been together with me this whole time. I'll be going on a different route upon graduating, but I really think that I'd like to meet all of you in my private time. Tsugunaga: Well, you have to reflect on your actions. It's obvious, isn't it! Yajima: At the time, I might have really developed and become reliable. I might have become independent, perhaps!? Tsugunaga: Anyway, I hope you don't get deceived by some strange person. That's what worries me the most when it comes to you! Pakistani Escorts can guarantee that when you book an Lahore Escorts you will value each second at that hotel in Pakistan, as you'll find various escorts on our presentation which look thoroughly explosive.